MUMBAI, INDIA Inspired by European hill towns that utilize a variety of public open spaces, Growel’s 101 Mall Kandavali provides its visitors with a unique journey that is both passage and experience. The main pedestrian street has a split-level juxtaposition that focuses on the natural features of the site and offers a variety of retail opportunities. This path can also expand into ‘usable’ terraces for kiosks and café seating. 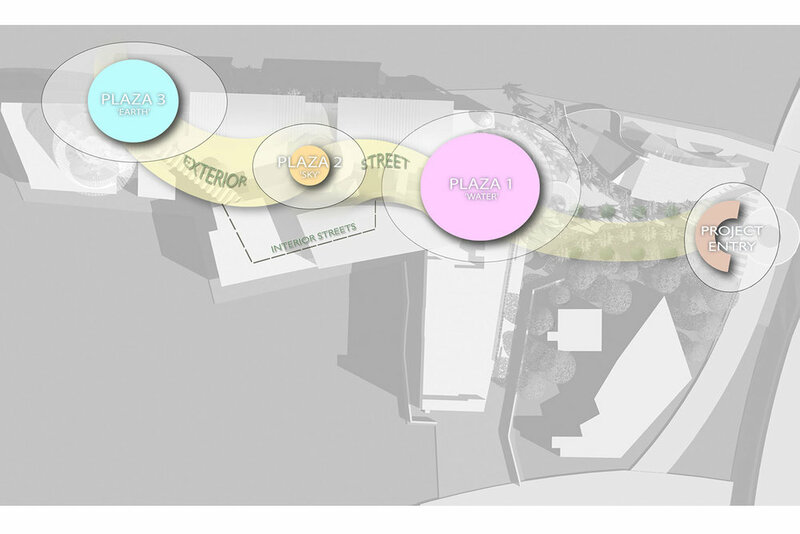 Plazas are developed along this path providing social hubs where events can be organized and interactive features placed. 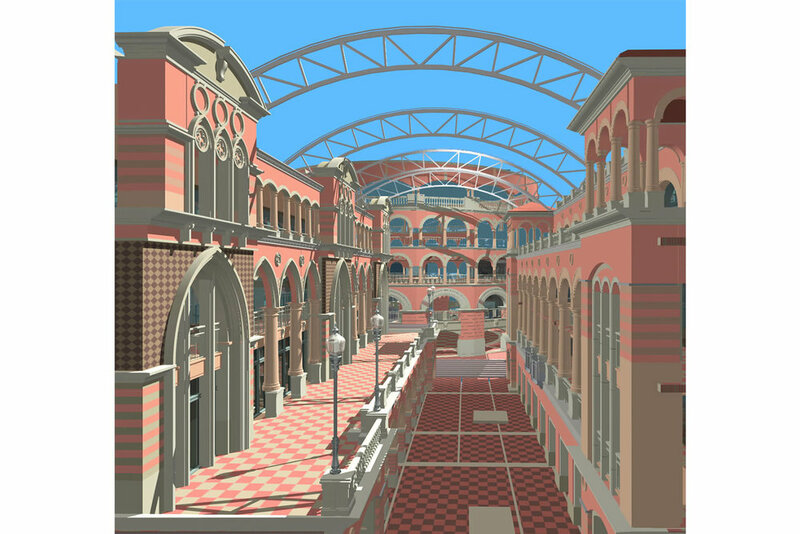 These “Featured Plazas,” including a Festival Plaza, Sky Court, and Crystal Gardens, contain unique architectural character and bold interactive features that provide a distinct dimension of modern and traditional forms. These structures can transform the space and adapt to the variety of seasonal activities of the center, creating more of a participative environment year-round. Includes multiplex cinema. With Form 4 architects.